Wednesday, February 10, 3:30pm - 5:30pm. Stop by on your way home! 1 Avenue & 7 Street S.W. 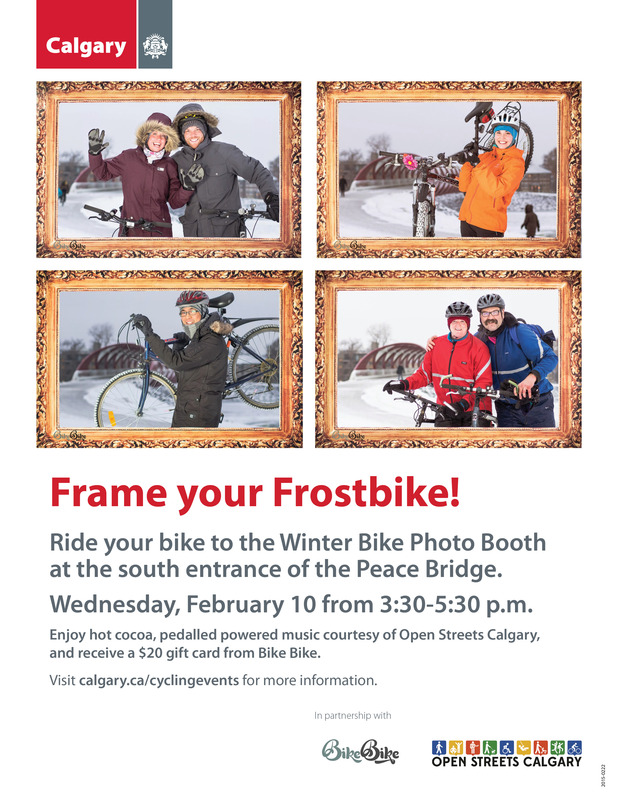 Ride your bike over to the Peace Bridge and enjoy hot cocoa, pedalled powered music courtesy of Open Streets Calgary, and a $20 gift card from BikeBike! Please note you'll be required to sign a media release (children under 18 years of age will require a signature from a parent/legal guardian). Photos will be available for download shortly after the event. Event is free to all.